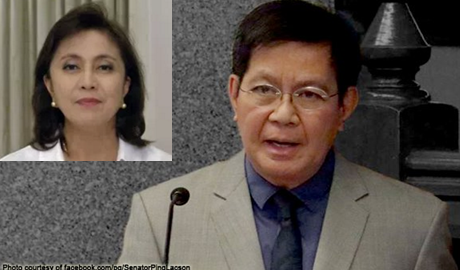 Senator Panfilo Lacson, in his Twitter account, he warns Vice President Leni Robredo not to allow herself to be used by groups with selfish political interest. “They are leading her to the quicksand to advance their own political interests. I hope she realizes it sooner than later. Sayang,” Lacson tweeted. Robredo released a video message to the United Nations denouncing Duterte government’s brutal war on illegal drugs in the country. Senator Lacson, in another tweet, called on VP to correct her figures on the drug-related deaths given to the United Nations. “She reported to the UN that 7k were summarily executed. Fact is, govt side suffered 38 casualties in 2k police opns. She should correct it,” he tweeted. “I’ve no agenda except fairness based on facts. We owe it to the 38 PNP and AFP personnel killed and 86 wounded in action as of Jan 28, 2017,” he said. Yes tama ka Sir Lacson.